Provoking Curriculum Studies - "Curriculum Encounters"
The 1977 science fiction film Close Encounters of a Third Kind put the idea of ‘encounters’ into the popular imagination. Now 40 years later we are perhaps in a new world of encounters in an area of study engaged in so many curricular challenges. What do we want to encounter? What do we not want to encounter? What kinds of conversation do we want to have in this world of encounters? Is there a way in which ‘the encounter’ becomes a metaphor for change and transformation? This interactive session lays bare the inner thinking of six to eight scholars who will be encountering visual texts. Claudia Mitchell (James McGill professor; Royal Society of Canada member; recent recipient of SSHRC’s Gold Medal) will open the dialogue on the power of visual encounters, followed by two doctoral student-moderated conversations, each with a panel of four curriculum scholars. Prior to the plenary, the scholars will have been invited to browse through their own collections of images (e.g., albums, archives, Facebook, Instagram, etc) and encounter/re-encounter an especially provoking one in light of conference strands (Spaces and Intensities; Pluralities and Charges). 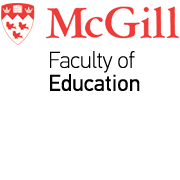 In the plenary, each scholar will be asked to briefly explain their image, followed by scintillating, critical and thoughtful conversations, led by McGill doctoral students Mitchell McLarnon and Sandra Deer. The recent burgeoning of studies on the academic workplace and especially in relation to mental health and well-being, highlight the various challenges of an academic life, and to some of the ebbs and flows that we might need to pay attention to from time to time. This panel draws together academics at various points of our careers, from someone just starting out as a postdoc, to those of us in mid-career and beyond. These stories are typically not spoken about, but as a recent departmental retreat at McGill focusing on this very topic highlighted, perhaps the unleashing of these stories can help to shape a curriculum of humanity in and beyond the academy.